You must’ve had it often as a kid, or you might never have had it all if you are nowhere near the coastlines, but now you are wondering whether or not salt water taffy is vegan. 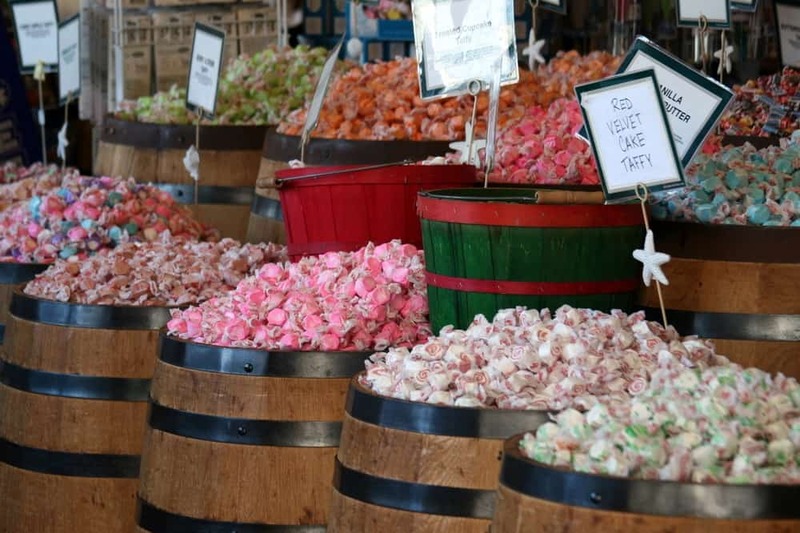 For those who do not know what a salt water taffy is, and even for those who’s had them before, read on to learn about this delicious treat and find out if it’s vegan or not. The way it is made is so fascinating that even in my most sane days, I will still be itching to make one on my own! 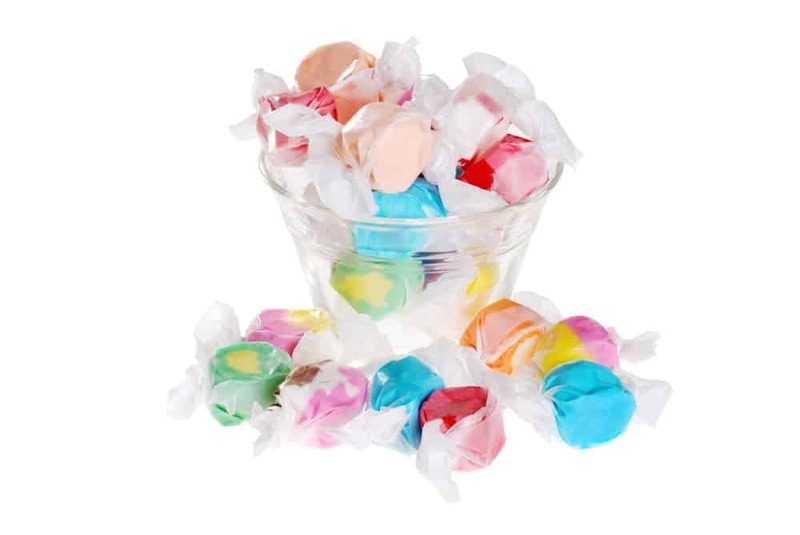 Salt water taffy is a taffy variation. While Americans would often refer to this candy variation as taffy, Brits will refer to this same candy type as chews. 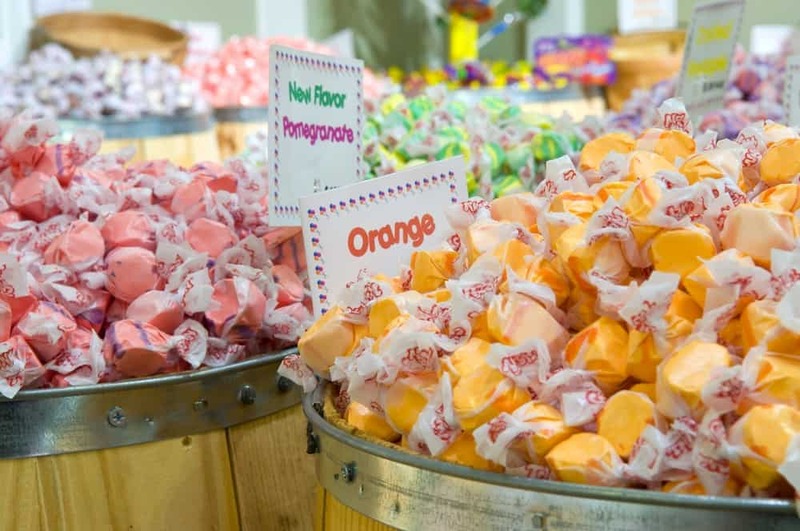 Just think of a regular toffee candy and you will get a form of taffy. Best way to put it is that a taffy is a chewy candy that is light and fluffy. Now, the salt water taffy is a delicious treat that you can often find in the stores lining up the shores whenever you are out on the coast or a beach somewhere in the states. It is something of a local treat in New Jersey but has that knack of reminding you of good times on the beach whenever you have it. Salt water taffy was born in the late 19th century in New Jersey. It was quick to become a favorite souvenir with tourists and finally spread to most of the neighboring coastal towns. 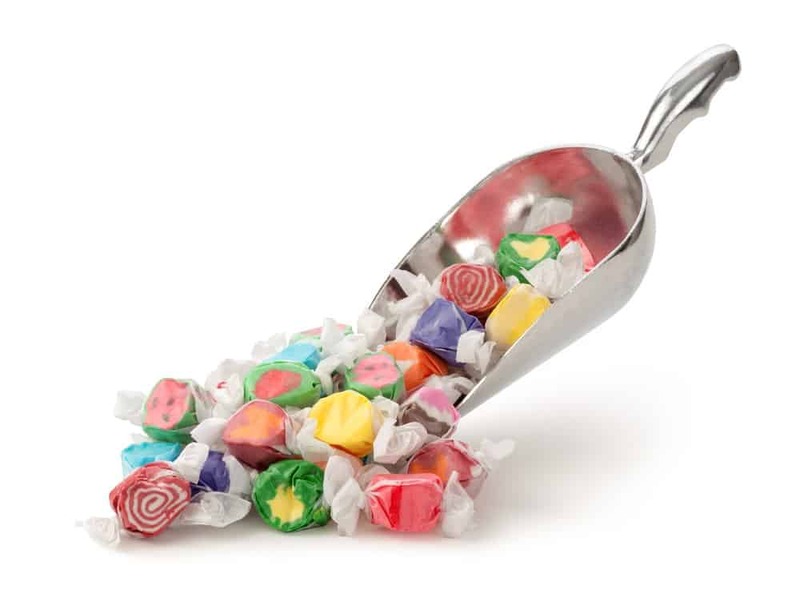 Despite the fact that taffy recipes have been evolving and now have so many different variations, the most common ingredients in a salt water taffy would be a sweetener like sugar, corn syrup, cornstarch, water, margarine or butter, salt, food coloring and flavorings. Note that the rundown of ingredients includes both salt and water, which may somehow explain why the treat was named as such. For those who are specifically looking for a vegan salt water taffy, don’t frown just yet. I know that based on the ingredients, it is obviously not vegan but we will get to that. There is hope for you just yet. 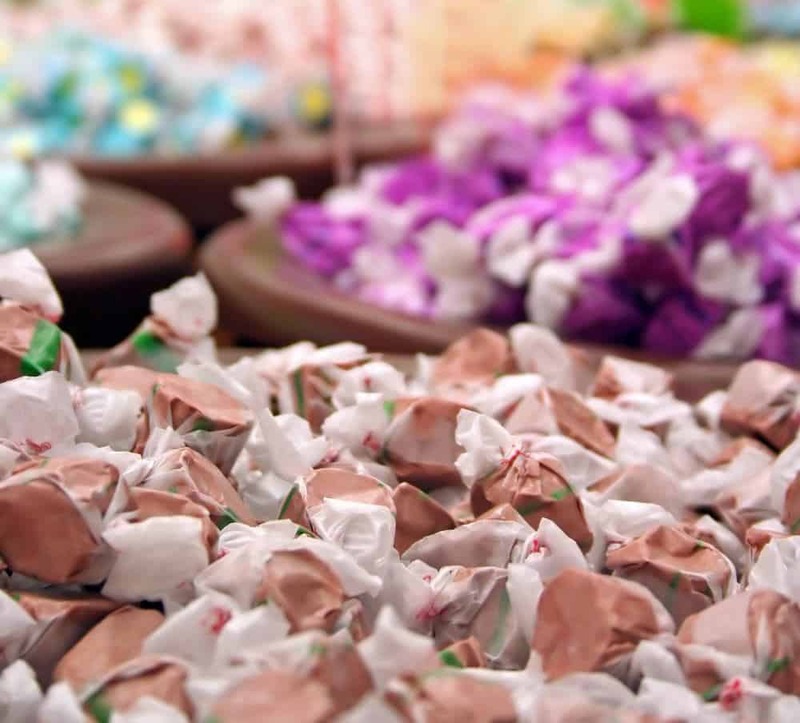 Nobody knows for sure how salt water taffy got its name. Needless to say, salt water taffy does not literally contain seawater, though it does literally contain salt and water. People must’ve have initially thought they will be getting a taste of the ocean when this treat was first introduced. Clever, huh? However, one legend holds that it originated from David Bradley, who was a sweets store in the late nineteenth century. The story goes that Bradley’s sweet’s store was flooded during a storm in 1883. His whole supply of taffy was distinctly doused with seawater from the ocean, so he started calling it “salt water taffy” as a joke but the name stuck somehow. If you have ever had the opportunity to observe the actual making of a taffy, you most probably would’ve been captivated by the process. You can also watch the taffy making process here to give you a better idea on how it is made, in case you have never had a chance to see it yet. Without pulling, taffy would be hard. Pulling taffy allows air to circulate air through it by catching large amounts of small air rises inside the taffy. These air bubbles are what make the taffy softer and chewier. The best thing about innovations is the way it can make room for everyone. 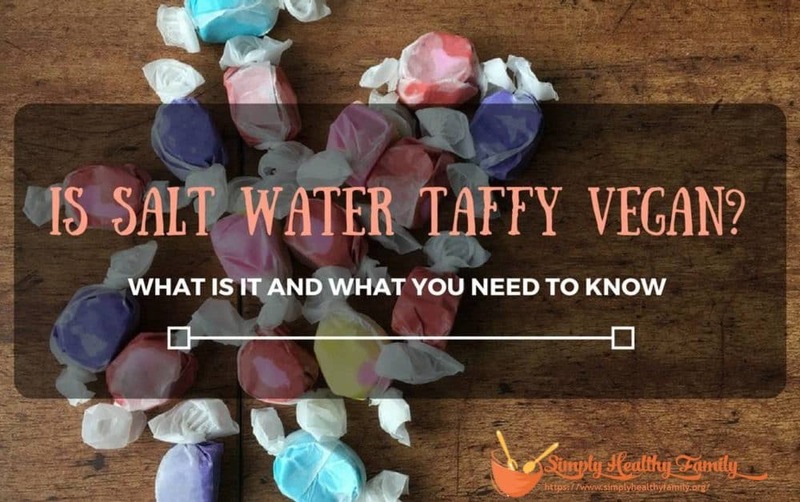 While earlier on in this article, I have talked about the traditional ingredients in salt water taffy, there are commercial versions that have been made available to suit the vegan consumers. The vegan salt water taffy from the Florida Candy Factory has made an astonishing veggie lover salt water taffy, stuffed with chewiness and flavor that’s been lost since most taffy has artificial flavorings and colorings utilized as part of the usual recipe. 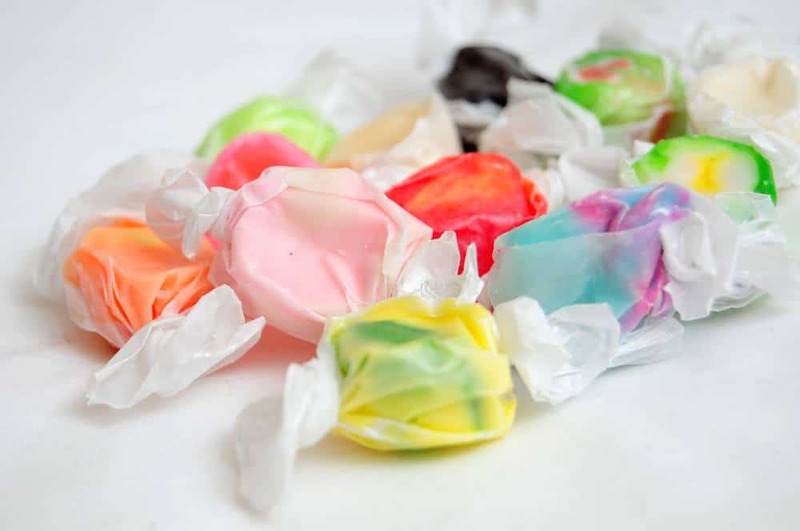 Their recipes for salt water taffy not only eliminates trans fats but also rids of ingredients like gluten, soy, dairy, nuts, artificial flavors and artificial colors. This variation of the salt water taffy is awesome not only for vegans, but also for people who are suffering from allergies that are found in the regular product. If you are out in the streets, wandering the stores along the coast eyeing a delicious looking salt water taffy, wondering if it is vegan, then the quick answer is most likely going to be a no. Unless, it is specified as vegan. There are, however, vegan variations that can allow you to enjoy this treat just as much everyone else does. I sure hope you enjoyed learning about what salt water taffy is and answered your answer about adding it to your vegan diet. This treat is more than just a treat and there is nothing more fun than knowing about the interesting stories behind them, as you chew away! Share this article with your friends if you enjoyed it. Until next time!